재단법인 빛이나는 법정기부금단체로 지정되어 국내외 후원을 받을 수 있게 됨을 기쁘고 감사히 생각합니다. 빛이나의 후원은 무통장 입금으로 진행됩니다. 계좌 정보는 위의 이미지를 참조해주시기 바랍니다. 빛이나 홈페이지를 통한 후원 방법은 없습니다. as a legal contribution organization and is receiving domestic and international support. Sponsorship methods are carried out through bank deposits. 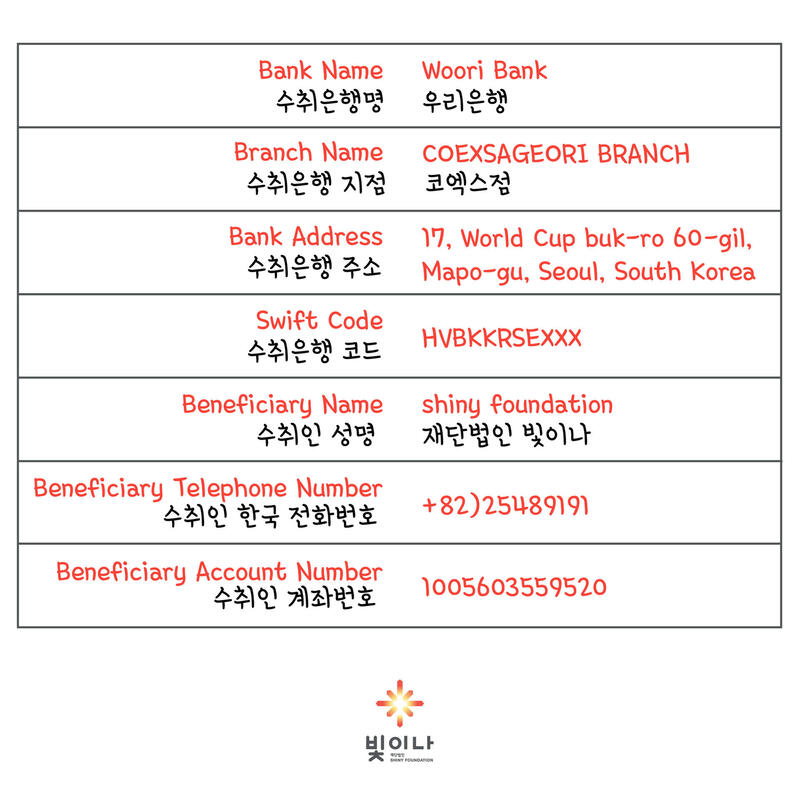 Please refer to the image above for bank account information. However, there is no way to apply for sponsorship through the SHINY foundation homepage. fund management programs and fees and fully reflect them on your goals.